These cling peaches would be a treat anytime! Did you know that you can make jams and jellies inside your bread machine? 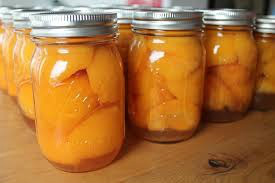 For storage, you will need to sterilize jars by boiling and then follow canning directions. If you don't have the Ball Blue Book, you need to get it now. 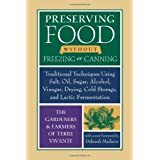 There are canning, freezing & dehydration instructions that will be handy to have on hand even now! Check Amazon. Different years use different photos on covers. 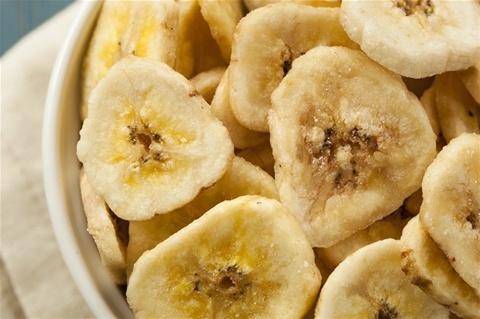 What a treat dehydrated banana chips are! They taste just like candy. 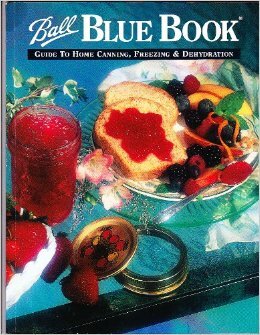 This thick book is full of recipes and is a must-have companion book to the Ball Blue book above. Simon & Schuster Publishers, or check out Amazon online. Peggy Layton's Cookin' With Home Storage teaches us how to make meals with basic ingredients from our home food storage supplies. Inspired by the recipes of the American settlers who came out west in their covered wagons, Peggy's book is also a great lesson on how to make substitutions for recipes that you already use and love. Lactose-fermentation of veggies, such as these green beans, produces delicious vegetables which also help us to have healthy bowel flora. This will be especially important if we are eating enzyme-dead canned food for an extended period of time. You can lactose ferment with sea salt, or with a combination of sea salt and whey. This book shows you how to make whey too! Don't be afraid of the cloudiness at the bottom of the jar, that is normal. 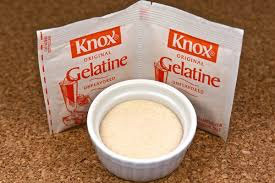 Try it now, and see how your digestive tract will love you! 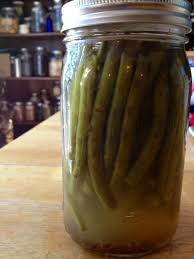 Cream cheese in 8 hours, pickled green beans (yum!) in 3-4 days; why wait? Learn these and other simple skills now and boost your nutrition and the taste value of your food. Sally Fallon'sNourishing Traditions researches the cultures from the past to point out where we have gone terribly wrong. Optimal food combinations in meals is also discussed. And yes, butter is actually GOOD for you! 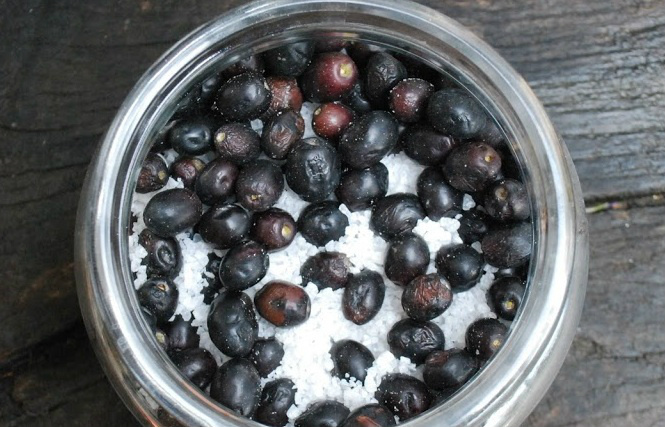 These olives have been preserved in salt. Mary of Agreda writes in her work, "City of God", that she saw the Blessed Virgin Mary reaching into a wooden barrel filled with salt in order to take olives for the meal she was preparing. This book comes with tried-and -true testing of traditional techniques. It is a MUST HAVE. Appendix: Which Method for Preserving Each Food?